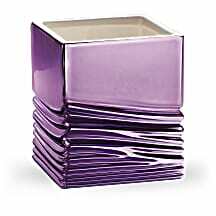 Pour on the glam with this luxurious lavender cube! 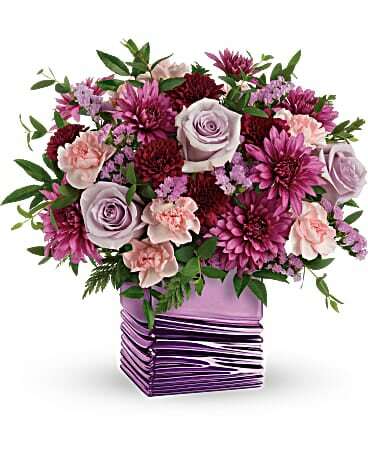 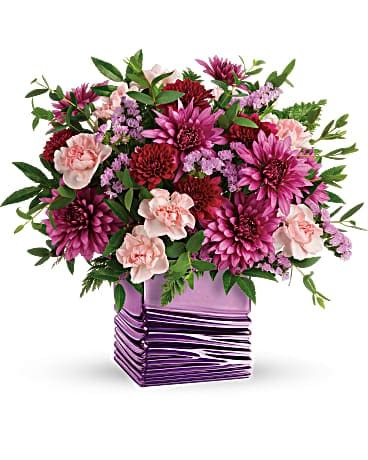 With its shimmering metallic finish and soothing wave detail, it's the perfect complement to a magnificent Mother's Day bouquet of light pink carnations and rich, jewel-toned mums. 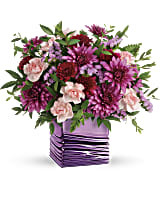 Pour on the glam with this luxurious lavender cube! 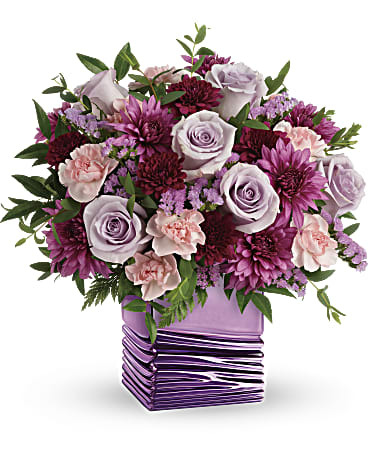 With its shimmering metallic finish and soothing wave detail, it's the perfect complement to a magnificent Mother's Day bouquet of lavender roses and rich, jewel-toned mums.